A woman and three children have died following a fire at a terraced house in Bolton, Greater Manchester. 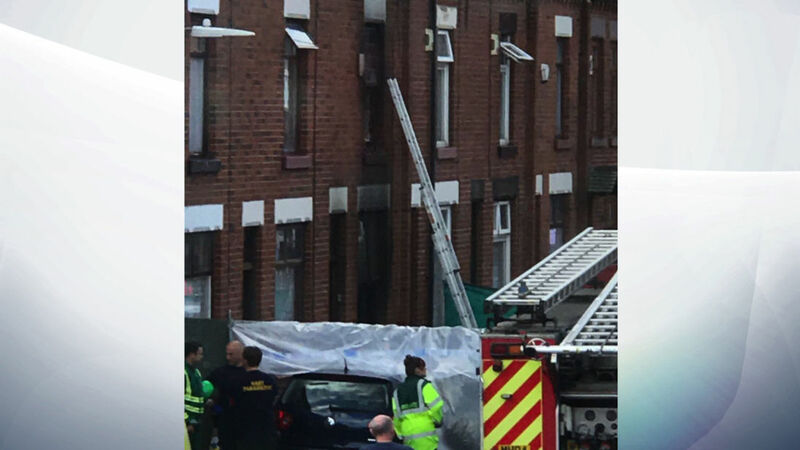 Emergency services were called to reports of the blaze in Rosamond Street in the Daubhill area of the town at around 9am. A man managed to escape the property but a female victim and two boys and a girl, all aged under 13, lost their lives. One of the youngsters was pronounced dead at the scene, while the woman and two other children died later in hospital. Police and the fire service have begun an investigation to establish the cause of the blaze. It is currently not being treated as suspicious. An eyewitness reported seeing two people being given CPR as emergency services tackled the fire. The resident said she was alerted to a "commotion" and saw a man banging on the door of a terraced house. She said: "It's terrible, absolutely terrible. I saw them bringing people out. They were doing chest compressions." She added: "It was 9am this morning when I heard all this commotion. Somebody - I don't know whether he lived there - there was just a load of hammering, banging on a door. "When I saw him after, he had his hands bandaged up and his head. He either lived there and managed to get out or he was trying to get in." Detective Chief Inspector Chris Bridge, from Greater Manchester Police, said: "This appears to be a family home and we have been working to inform loved ones of this awful loss. "This happened on a Saturday morning when many people would be up and about and I would appeal to anyone with any information about this incident to please call us."